It packs in 13-megapixel main camera and a 5-megapixel secondary camera. Xiaomi has been the undisputed king in under Rs 15,000 smartphone segment in India. And to compete against its popular Redmi Note range, a smartphone should not only have a great built, quality, a good camera but also a large battery, backed up with great performance. Asus seems to have come up with a smartphone that can give the Redmi Note series some competition. Its recently launched Zenfone Max Pro M1, has all the above mentioned features and even offers something extra. Most importantly, it runs stock Android user interface instead of the cluttered ZenUI. The biggest highlight of stock Android is its clean user interface with less bloatware, which results in more storage. In this version, apps are placed in the app drawer, with the option to add shortcuts on the home-screen. Also Stock Android means no third-party apps, which manufacturers often load on the smartphones. However, Max Pro has a few commonly used apps. The list includes sound recorder, FM radio, calculator, Facebook, Facebook messenger and Instagram. These apps are locked to the phone and the user can not remove them, as there is an option to disable these apps but not an option to uninstall them. The unit, we reviewed had 32GB of internal storage, of which 7.1GB was consumed by the system and 2.2GB by other apps. Unlike many phones with hybrid slots, where one has to choose between the secondary SIM or memory card, we were able to use two 4G SIM cards along with a memory card. The phone supports up to 256GB of expandable memory, is good enough for large files such as movies, songs and more, which can be enjoyed on its big, 5.99-inch display. Zenfone Max Pro has a slightly taller design and its display has 18:9 aspect ratio, a new trend being followed by most of the smartphones these days. The 5.99 inch display with 2160x1080p resolution is bright with decent sunlight legibility, and is good enough for reading text or playing videos. The device has got a premium look and feel to it, but due to the aluminium alloy chassis and rear panel, is heavy to hold. However, the curved edges make it comfortable to grip. Asus has used polycarbonate antenna covers on the top and the bottom for a better signal reception that matches the rear panel cover and seamlessly blends with the body. Another highlight of this smartphone is the addition of dual camera setup at the rear. It packs in 13-megapixel main camera and a 5-megapixel secondary camera that manages to capture depth of field, resulting in impressive bokeh images. The camera UI is easy to master with the various modes including HDR, auto, portrait, landscape, etc. on the top left and a shortcut for activating depth effect on the right top. The camera is good at capturing bokeh images with the subject in focus and blurred background. However, there isn't any option to adjust the background blur, while capturing the image or while editing it, a setting which most smartphone manufacturers are incorporating in their smartphones. We are yet to test the video camera on the phone, which will be updated later. The loud sound output makes it a complete multimedia performer. Although the sound output is pretty loud for a small room, Asus has also added a compact accessory in the box, that can further amplify the sound output. The phone has Qualcomm Snapdragon 636 onboard, which offers a fairly decent performance. While reviewing the unit, we had to charge the phone only twice, when used it for four days. 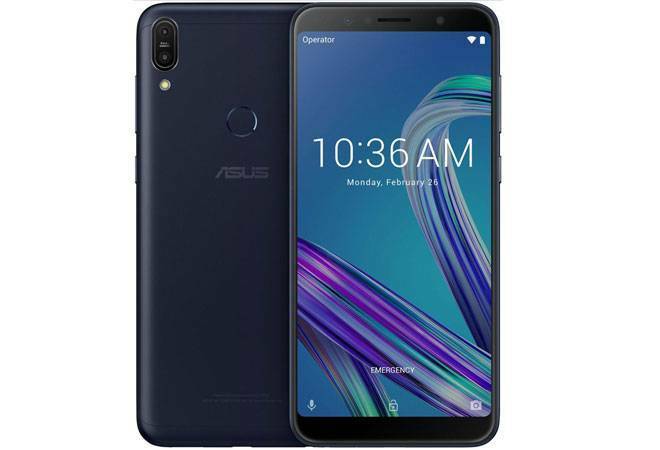 Asus is initially launching the ZenFone Max Pro M1 in two variants, 3GB RAM and 32GB storage with expandable memory for Rs 10,999 and 4GB RAM and 64GB storage with expandable memory for Rs 12,999. There will also be a third variant, with 6GB RAM, 64GB onboard storage, expandable memory and updated camera for Rs 14,999, which the company will launch soon.